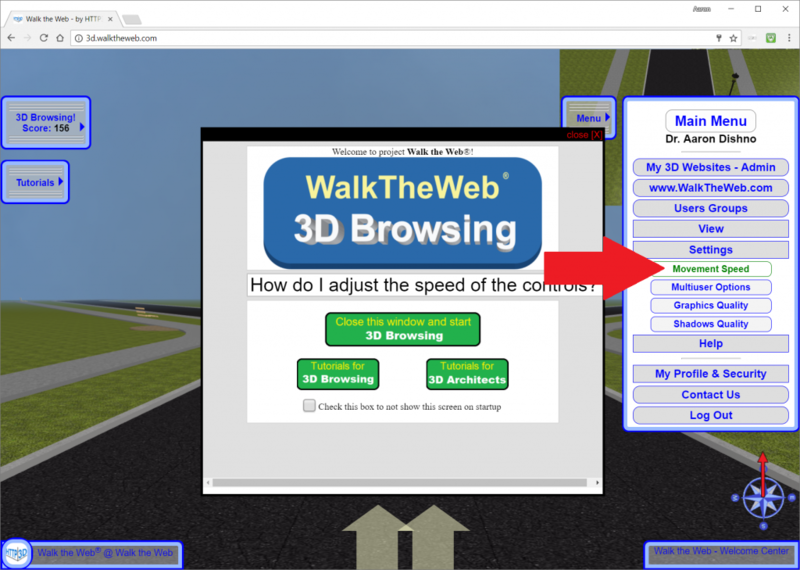 When you move on a website designed for 3D Browsing, you use two basic movements; Pan and Walk. Pan is to move the screen in a way that you are looking around, while standing in one position. Walk is the forward or backwards movement based on the direction you are facing. Since all computers and devices are not the same and operate at different speeds and capabilities, we added slider adjustments for the movement controls so that you can easily change the speed in which it moves. 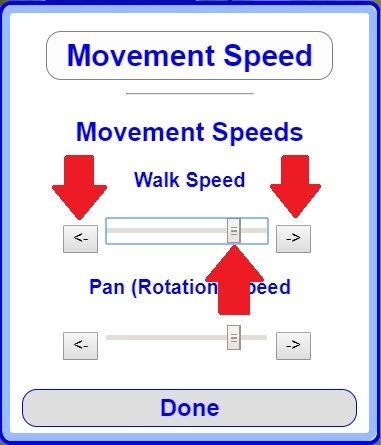 You can adjust the Walk or Pan speeds separately using the arrows or by dragging the slider with your mouse or touch screen. Just move the slider up or down and test the speed on your screen. This setting works for Mouse, keyboard, and touch movements. When you are comfortable with your setting, click the Done button and your preferred setting will be saved in a secure cookie on your computer. Each time you return to this website, it will retain your settings.